Jean-Vincent d’Abbadie de Saint-Castin had several children, most of them born to Pidianske, one of the daughters of Abenaki chief Madokawando. Two are known to historians and to the curious: Bernard-Anselme d’Abbadie (1689 – 1720) and Joseph d’Abbadie (active 1720 – 1746). Both sons continued to fight the English, which had been their father’s mission, but did so in what appears a less aggressive manner. Jean-Vincent participated in King Philip’s War (1675 -1678), a conflict which was a response to attacks on New England settlers by Amerindians. Jean-Vincent d’Abbadie had played an active role in these attacks. King Philip’s War decimated the Amerindian population of New England. Of a total of 3,400 men, only 400 Amerindians survived, but on Britain’s side, of a total of 3,500, 2,900 men survived. Jean-Vincent d’Abbadie did fulfill his responsibilities. However, when Jacques de Chambly, was freed, the French having paid a ransom, Jean-Vincent married Pidianske and soon identified with his Abenaki tribe. He had an habitation built surrounded by wigwams. At the foot of my last post, I inserted a video, a French television programme. The programme’s host states that Jean-Vincent was an Abenaki. It was a clear case of self-identification, but Jean-Vincent d’Abbadie, Baron de Saint-Castin, an unlikely candidate, became an Abenaki chief (sachem), no less. He was assimilated. Bernard-Anselme (active as of 1707) Jean-Vincent’s first-born and fourth Baron de Saint-Castin continued to cultivate the loyalty of his tribe, following in his father’s footsteps. However, he married Marie-Charlotte d’Amours de Chauffours, of Port-Royal, the daughter of Louis d’Amours de Chauffours (born at Quebec – died in Paris, 1718). He thereby entered a prominent French family. When news of Jean-Vincent’s death reached Nouvelle-France, Bernard-Anselme viewed himself as fourth Baron d’Abbadie de Saint-Castin, a title he would later claim. In 1714, a year after Acadia fell to the British, by virtue of the Treaty of Utrecht (1713), Bernard Anselme and Marie-Charlotte sailed to France. In 1717, three years after his arrival in France, Bernard-Anselme, who had faced considerable opposition, was admitted into the States of the Béarn in the order of the nobility.” (Bernard-Anselme, DCB/DBC.) It was a short-lived privilege as he died in 1720. However, in the spring of 1720, he had written « Mémoire des services rendus par les sieurs de Saint-Castin, père et fils, » in which it is clearly stated that ties between the French and Native Americans protected the French and had to be secured. It is as though Bernard-Anselme were writing that Jean-Vincent, his father, had married an Amerindian in the line of duty. Bernard-Anselme died in the Béarn and was survived by his wife (d. 1734, at Pau), and his three daughters. The baronetcy fell to Marie-Anselme, Bernard-Anselme’s daughter. These buccaneers were a force to contend with. Mighty as were buccaneers, on 5 October 1710, Acadia nevertheless fell to Francis Nicholson, commanding 2,000 soldiers and 36 ships. How could Acadia’s governor, Auger de Subercase, win this particular battle with only 500 soldiers and 127 militia men? 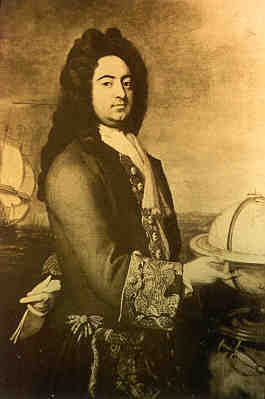 Bernard-Anselme was on the high seas when Acadia fell to Britain. When he returned to Port-Royal, the capital of Acadie, it had been renamed Annapolis Royal, in honour of Queen Anne who supplied Nicholson with the ship, men and the artillery he required. 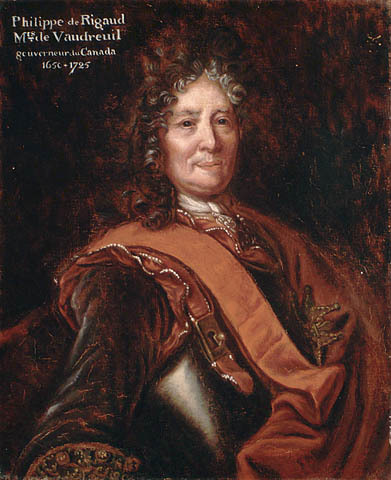 The Treaty of Utrecht, or Peace of Utrecht, was not signed until 1713, but Bernard-Anselme accompanied John Livingstone to Quebec, taking Acadia’s act of capitulation to Philippe de Rigaud, Marquis de Vaudreuil, governor-general of New France from 1703 until 1725. 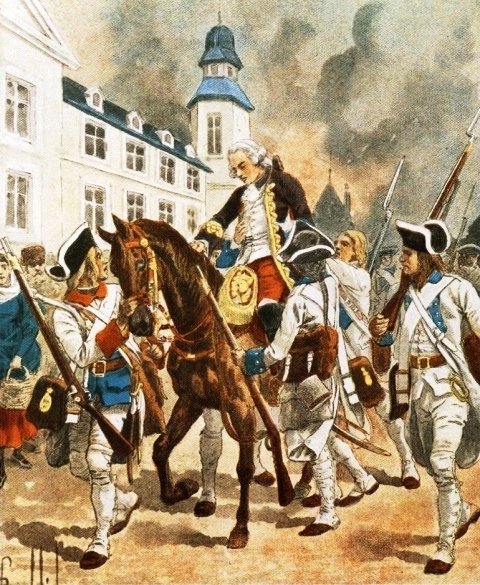 A year later, an optimistic Vaudreuil named Bernard-Anselme d’Abbadie governor of what remained of Acadie, the current Cape Breton Island and Prince Edward Island, but Acadia, Nova Scotia and le Maine, could not be recaptured. It was still possible for Bernard-Anselme to ensure the loyalty of the Abenaki in a defeated Maine and other North American “Indians.” However, the Abenaki themselves needed the protection of the French. After King Philips’ War, a response to attacks on settlers, Amerindians knew there was little if any willingness on the part of Britain to accommodate Native Americans. My last post allowed us a glimpse at a form of acculturation: a “process of cultural change and psychological change that results following meeting between cultures,” (Wikipedia). But in the case of Jean-Vincent d’Abbadie, acculturation did not happen in the direction sought by colonists, i.e. the assimilation of North American natives into a European culture. French ensign, Jean-Vincent d’Abbadie, Baron de Saint-Castin, was assimilated into Abenaki culture. Jean-Vincent’s acculturation cannot be confused with that of Europeans involved in fur trading, beginning with the French, who married Amerindians. The history of the Bois-Brûlés (burnt wood), the Métis people of the central provinces of the current Canada, differs from that of North Eastern “Indians.” The Métis people became a separate nation. There is no Métis nation in Eastern Canada, but its population is métissé(e), often, if not mostly, unknowingly. But to return to our tale of two brothers, Bernard-Anselme and Joseph, Joseph inherited his father’s looks. He was blue-eyed and blond. He and a yet-to-be identified brother, a third brother, continued to fight the British and were paid to do so, as had been Bernard-Anselme who died in France in 1720. Like his father Jean-Vincent, Joseph was also a chief, a great chief, of the Abenaki. In 1721, he was tricked into going aboard a British ship. He had been deceitfully invited for refreshments. Once he was aboard the ship, it lifted anchor. Joseph d’Abbadie was therefore imprisoned in Boston from November 1721 until May 1722. If he left prison, it was not for his blue eyes, but because he was a “great chief.” It seems his captors wanted to appease Amerindians. By 1726, he was nevertheless recognized as an officer in the French army and served until 1746, when his unidentified brother died of wounds “received in a brawl” (see Joseph d’Abbadie de Saint-Castin). After the death of his brother, in 1746, Joseph was never seen again. It seems he literally “took to the woods,” or went into hiding. The French were losing the war. First our story is about self-identification. Bernard-Anselme and Joseph were sons of a different mind. One brother could be French, but not the other. Such was the reality they carved out for themselves. Similarly, a large number of French Canadians look upon the Battle of the Plains of Abraham as the decisive event in the fall of New France. New France was conquered by Britain in a battle fought on Abraham Martin’s field on 13 September 1959. That is not entirely the ‘truth.’ Nouvelle-France was ceded to Britain in 1763, under the terms of the Treaty of Paris. In fact, there was another battle, won by the French. On 28 April 1760, the Chevalier de Lévis defeated the British at the Battle of Sainte-Foy, but it is as though this battle never occurred. It could be that being conquered by Britain is a fate kinder than being ceded by one’s motherland, a motherland that kept its sugar-rich colonies. Officially, Acadie was the first province of New France to fall to Britain, by virtue of the Treaty of Utrecht, in 1713, and under the terms of the Treaty of Paris, in 1763, New France was conquered by Britain. It is also official that Acadians were deported in 1755 by the British and that no embittered descendant of Huguenots (French Protestants) had any role to play in this horrible event. Fortunately, I can’t remember the name of my Huguenot, which probably means that the British deported the Acadians unassisted. 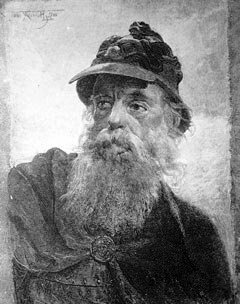 As for our brothers, Bernard-Anselme was French and Joseph, an Abenaki and a chief. Our story therefore remains one of self-identification. Reality is often conditioned by the human mind, which at times is a creative and forgiving mind. How else could we survive an otherwise horrific past? On the third day, He rose again. Georges Cerbelaud Salagnac, “ABBADIE DE SAINT-CASTIN, JOSEPH D’, Baron de SAINT-CASTIN,” in Dictionary of Canadian Biography, vol. 3, University of Toronto/Université Laval, 2003–, accessed September 15, 2015, http://www.biographi.ca/en/bio/abbadie_de_saint_castin_joseph_d_3E.html. Alexander Ross names Canadiens voyageurs ‘Baptiste,’ in Ross’s Adventures of the First Settlers on the Oregon or Columbia River, 1810-1813 (Carlisle Massachusetts: Applewood Books Reprint [London, 1849]). Georges Cerbelaud Salagnac, op. cit.